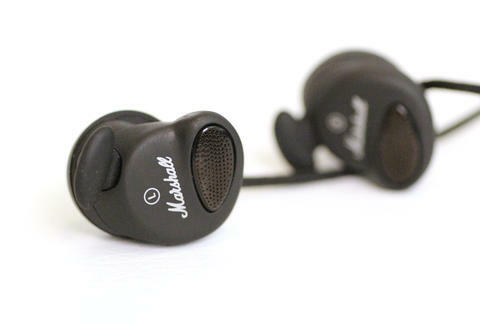 The in-ear yin to the Marshall Major's over-ear yang, these buds boast all-purpose musical range and usability. They even manage to fit Marshall's distinct throwback look onto these spare IEMs (in-ear monitors) in the form of the kind of black metallic knob accent you might find on an old amplifier. That fit extends to your ears, too, with the Minor's patented EarClick, a little flange that locks each bud into your auditory folds. Sadly, those with dolphin-like blowhole ears will have to look elsewhere.